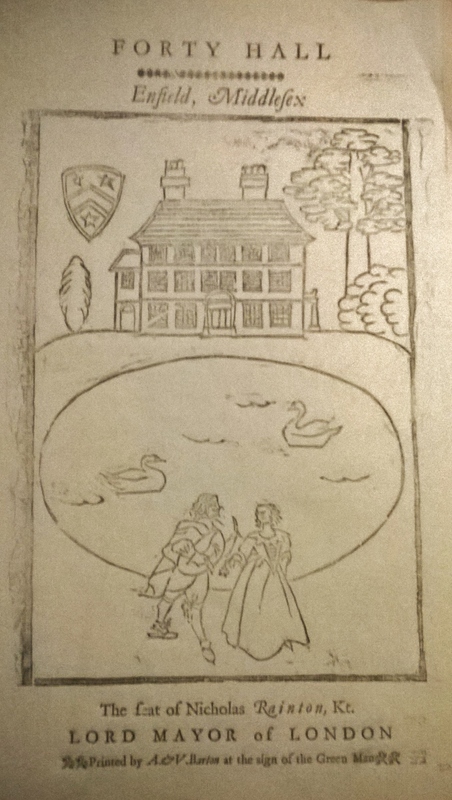 Looking at my last post, I realised I’d not put up a shot of the final Forty Hall print! So here it is. Fuzzy image I’m afraid…and yes, in spite of what I said before about the importance of sharpening, you can probably spot the moment when my gouge skidded across the wood 😦 It was interesting that I was trying hard to eliminate marks and shadows from the picture, yet nearly all visitors said they liked them. Quite a few of the prints looked like it was a stormy day! I’m hoping to do a similar kind of ‘scene’ for the craft fair that I will attend in October, at the parish church in Thaxted in Essex. Before that, though, comes Open Studios in September, where I’ll be showing my work at home. I’m both excited and nervous about this event..nervous because of the amount of work that there is still to do… and excited to be part of this established part of Hertfordshire life. It’s the biggest step I’ve taken so far. I’m torn between worrying I’m going to be overrun, or the complete opposite, that no-one will make it out to see me in my village location, and I’ll feel stood up. Many British counties have a similar Open Studios season; ours is run by Hertfordshire Visual Arts . Their standard is high, but when I met some of the group when I joined in January, they were so friendly and the atmosphere was very supportive. From the web link to http://www.hvaf.org.uk/Open-Studios/Open-Studios-2014 you can find out about the artists taking part in the different areas of the county.